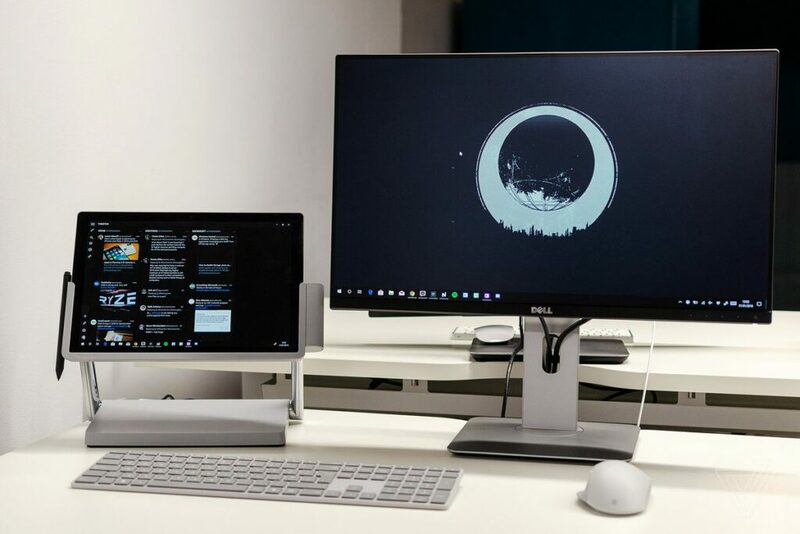 Surface dock Microsoft- I’ve always wanted a Surface Studio monitor, but since Microsoft doesn’t actually make a standalone Studio display, my options have been limited. Recently, I’ve been using the next best thing: a miniature version. Kensington, famous for laptop security slots, has created a Surface Dock that transforms the Surface Pro into a pint-sized Surface Studio. The dock uses an articulating hinge to prop the Surface Pro up alongside external monitors, and it can be adjusted to different angles. After using the dock for the past month, I can’t believe Microsoft didn’t make this first. Kensington’s $399 SD7000 dock includes four USB ports, an Ethernet port, a single USB-C port, HDMI, and a DisplayPort. You can even use the dock to power two 4K external monitors at 30Hz or a single 4K monitor at 60Hz. 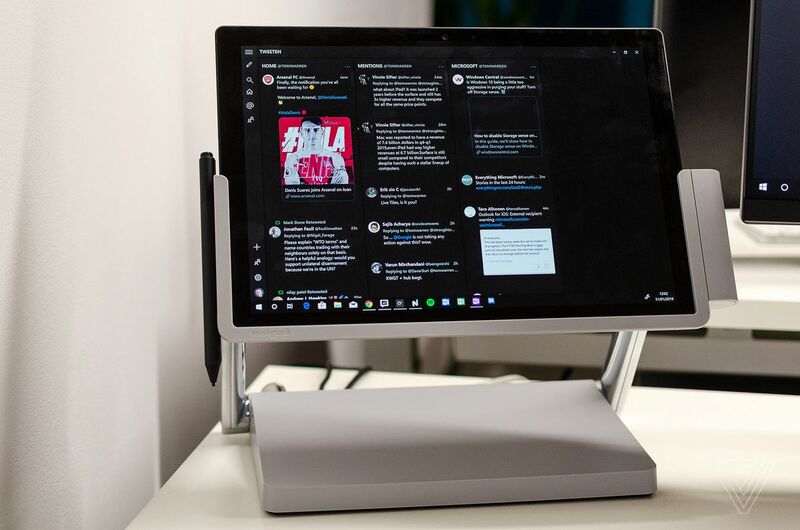 I’ve been using it alongside a single 1080p display, and it has turned the Surface Pro into a secondary monitor for scrolling through Twitter or making quick notes with the Surface Pen. Unlike Microsoft’s official Surface Dock, Kensington’s is a lot more functional. 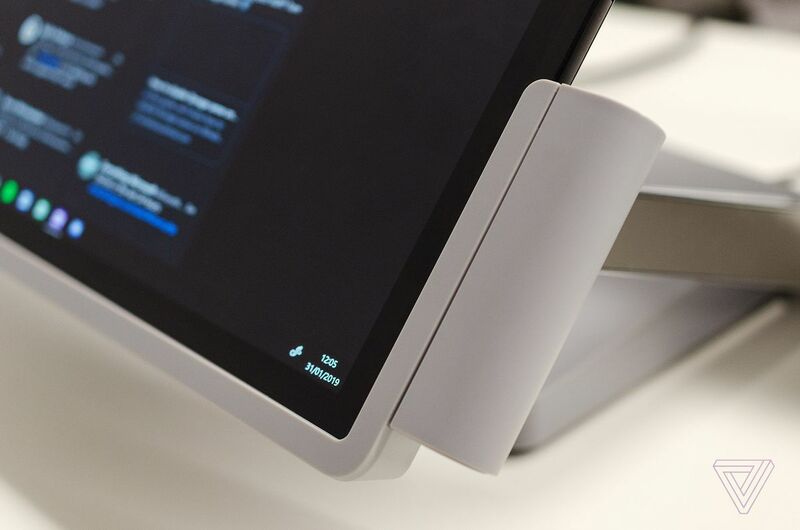 You simply slot the Surface Pro into it, lock it in place, and it connects all of your peripherals and monitors automatically. It will even automatically switch the Surface out of tablet mode, allowing you to use the Surface Pro as a small touchscreen monitor. 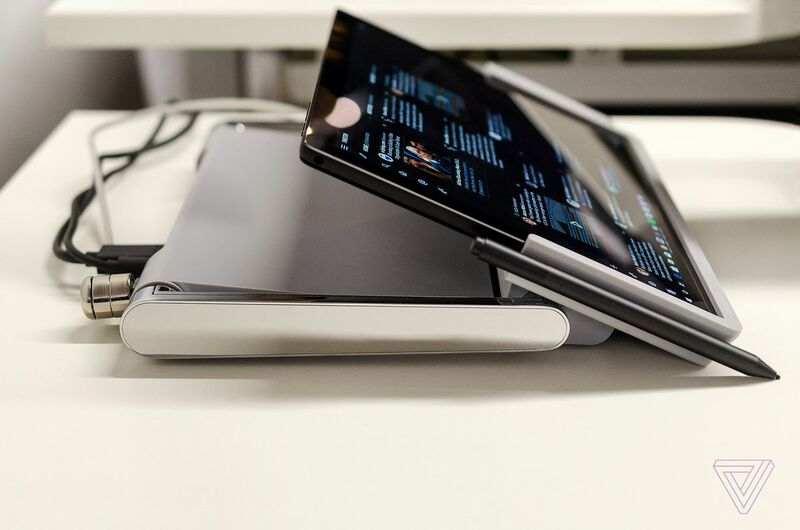 The locking mechanism reminds me of Microsoft’s original Surface docks for the Surface Pro and Surface Pro 2 where the tablet slides into place and the sides clamp together. That means you have to remove the Surface Pro’s keyboard and shift the Surface Pen onto a magnet on the dock for it to slide into place gracefully. 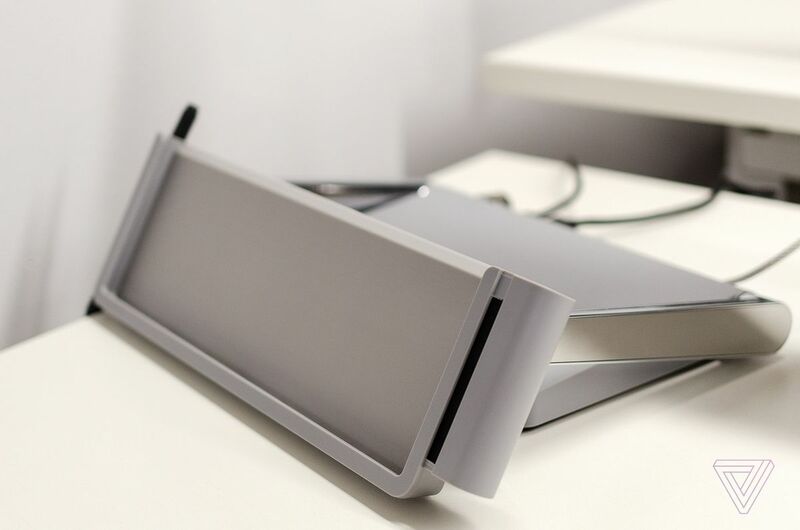 It also means that this dock might not work with future Surface Pro devices if Microsoft changes the design. The dock itself is not lightweight, weighing 7.2 pounds in total. That’s not a problem if you use this in an office space regularly, but if you’re looking to travel around with it, then the bulk and weight might make it a little difficult to transport. That weight does come in handy, though: it keeps the base mostly in place when you adjust the angle of the docked Surface Pro.